SupraCel™ sheet dressing is a cross-linked sterile hydrogel containing a solid polymer matrix with propylene glycol. 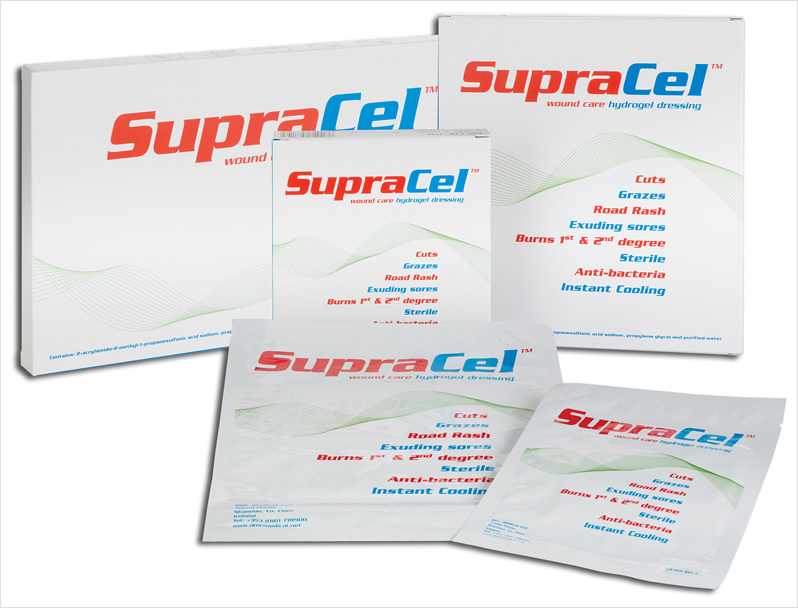 Dependent on wound conditions, SupraCel™ has the ability to absorb wound exudates while maintaining an excellent moisture balance. Due to its fully cross-linked nature there will no maceration of the skin surrounding the wound. SupraCel™ maintains its physical integrity throughout its use.